Can you imagine camping in the forest near Oregon’s towering Mount Hood and you suddenly hear the howling of the wolves! This was a real incident when the state wildlife officials announced that the two wolf pups were sighted near the mountains for the first time on Wednesday since the wolves were expelled from the state almost 70 years ago. A remote camera that was inclined secretly in the warm Springs Indian reservation, whose boundaries lie somewhat 10 miles south of Oregon’s highest mountain, has clicked some images of two pups on August 10. The Oregon Department of fish and wildlife released this news on Wednesday, and the website of the department showed the pictures taken on august 19 of a wolf sitting in the grass and looking at the two wolf pups. The wolf was identified to have coats of light brown and one of the pups is looking straight at the camera, and it can be seen that it is sniffing at the camera. After reading this news, the environmentalists began to celebrate, and Josh Laughlin, the executive director of Cascadia Wildlands, was reported saying that they celebrated the news when they heard about the wolf. They are happy that the wolf pack is back in the Mt. Hood after the species was systematically exterminated decades ago. The news marked the first reproduction by wolves in the northern part of the Cascade Mountains in Oregon region since wolves have started to return to their state in this date, as stated by the wildlife department of the state. The department is now also working with the U.S. fish and wildlife service and the confederated tribes of warm springs to monitor the wolves continuously. The wolves in the western two-thirds of the state are protected by the federal endangered species act and the area where the wolf was sighted falls in that area. 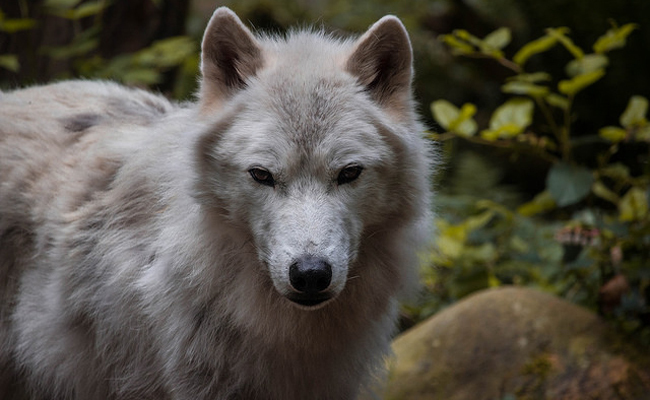 The Cascadian wildlands said that the state needs to make sure a strong state and federal protections remained in place for the recurring wolves and said that they can continue to re-occupy their historic territories across Oregon from now on. The Oregon Department of fish and wildlife is overdue by years in revising its wolf program that guides the recovery of their existence in the state. The environmentalists said that it would showcase at the stakeholder meeting for the wolf plan revision that will be taking place on Thursday in the Dalles.